Michael “Mike” Anthony Petrucelli, loving husband and father of three, met the Lord at 91 years of age on Tuesday, January 8, 2019. Mike, son of Saverio and Colomba (Colavita) Petrucelli, was born in Sant’Elia a Pianisi, Campobasso, Molise, Italy on May 22, 1927 and came to America through Ellis Island in 1928. He spent his youth in Newark, NJ and proudly served as a Corporal in the U.S. Army as a military policeman and as chief clerk in the provost marshal general’s office at the Army War College in Washington, DC. After his time in military service, he graduated from Casey Jones School of Aeronautics where he trained as an Aeronautical Engineer. On June 3, 1950 he married his lovely sweetheart, Gertrude Marie Lauter, also of Newark, NJ. They raised 3 children, Gertrude Michele Jacobs (spouse Daniel Jacobs), Ranelle Groth (spouse John W. Groth) and Michael Petrucelli, Jr.
Mike owned and operated automobile service stations in NJ for 35 years. 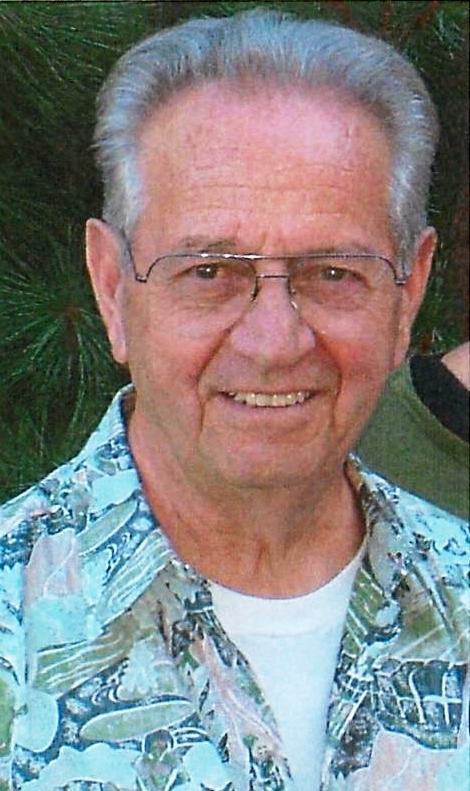 Later he owned and operated Vacuums Plus stores in Northern CA for 18 years. He loved all things related to aviation – both militaiy and civilian. He enjoyed athletics and physical fitness and was even known to do walking handstands on the roof a car! Mike had a smile that all remember. He was well-liked by everyone who met him and loved by those who were fortunate enough to know him. He was strong but gentle, patient and kind. He was diligent and fastidious and could fix just about anything. He loved carpentry and mechanics and displayed the patience and ability to teach others his trades. Most of all he loved to tell stories and share his incredible wisdom about a life well-lived. Mike Petrucelli was indeed a teacher in every sense of the word. Mike’s 5 grandchildren and 4 great grandchildren will greatly miss him – Alexander Taghavian (spouse Heidi and 3 great grandsons Luke, Dean and William); Roxanne Taghavian; Erin (Groth) Adams (spouse Bryan and great granddaughter Jane); John Groth (spouse Meghan) and Shannon Groth. Relatives and Friends are invited to attend his funeral service on January 26, 2019 at 12 noon at Gate of Heaven Cemetery in East Hanover, NJ. In lieu of flowers, donations can be made to the Gary Sinise Foundation (www.garysinisefoundation.org) in memory of Michael to support our nation’s Military Veterans.